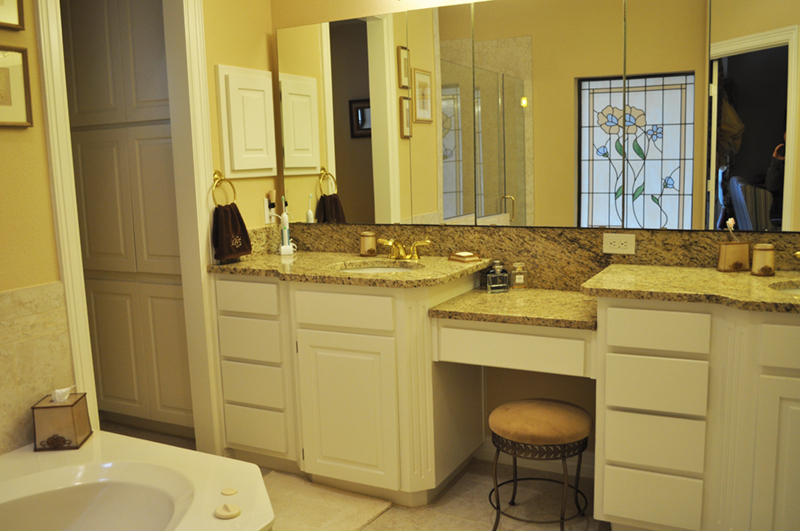 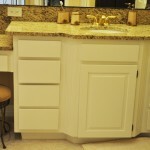 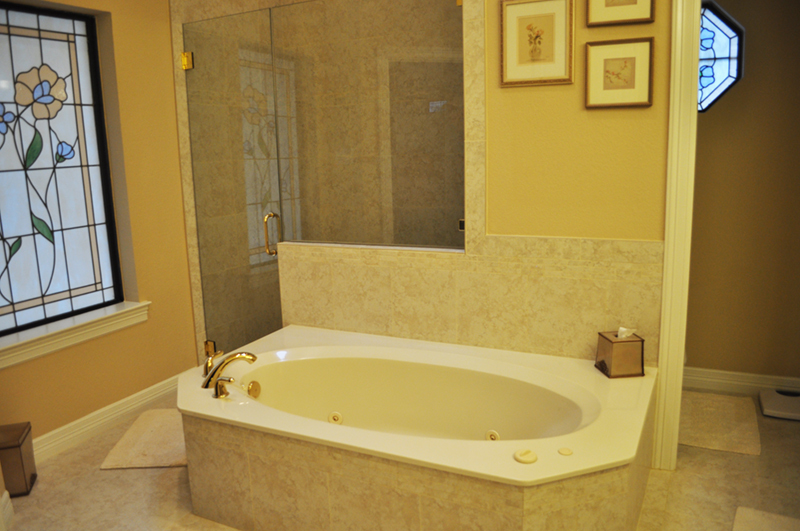 This Denton, Texas master bathroom remodel project updated the bathroom features including the countertops, flooring, and shower. 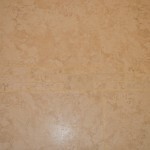 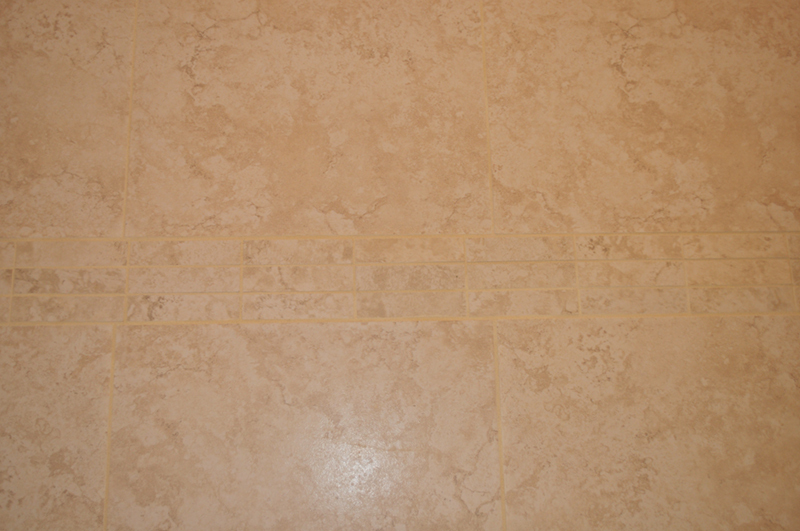 All new tile was laid throughout the bathroom. 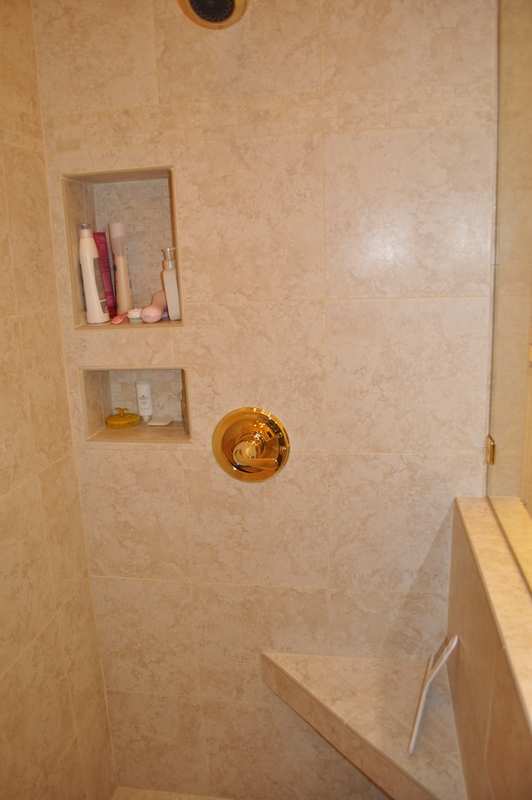 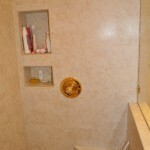 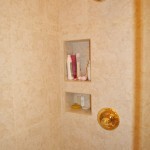 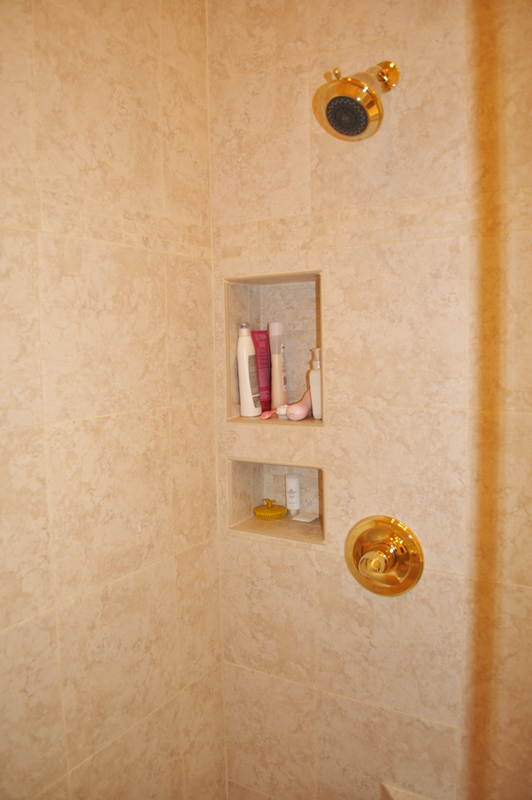 Shower was enlarged to provide more space. 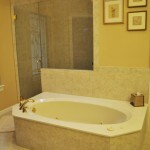 New frameless shower glass was installed. 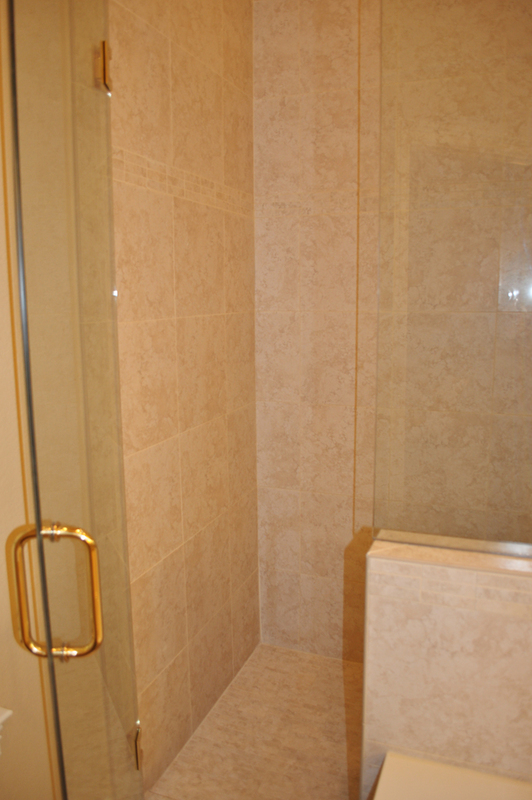 Custom shower seat, large enough to be sufficient, but small enough to not take up additional space. 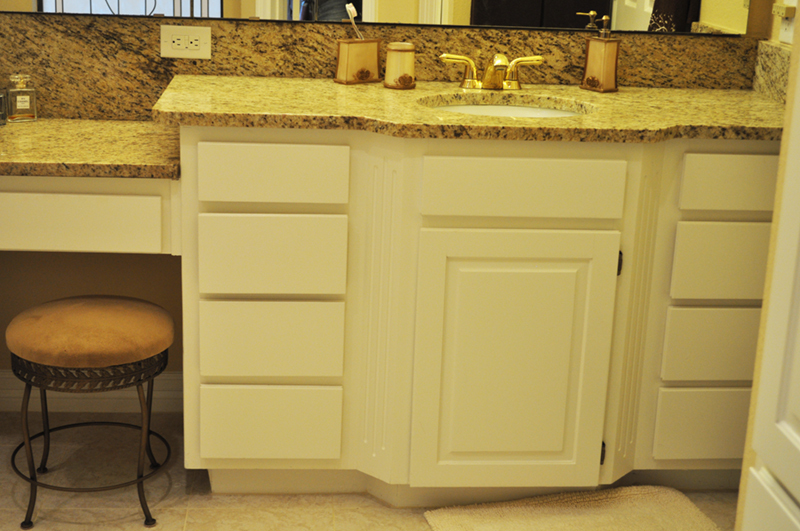 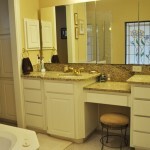 Countertops were replaced with granite stone.